In honor of our nation’s service members, both present and past, we wanted to shine the spotlight on our studio and gym partners who have served in the military for Veteran’s Day. 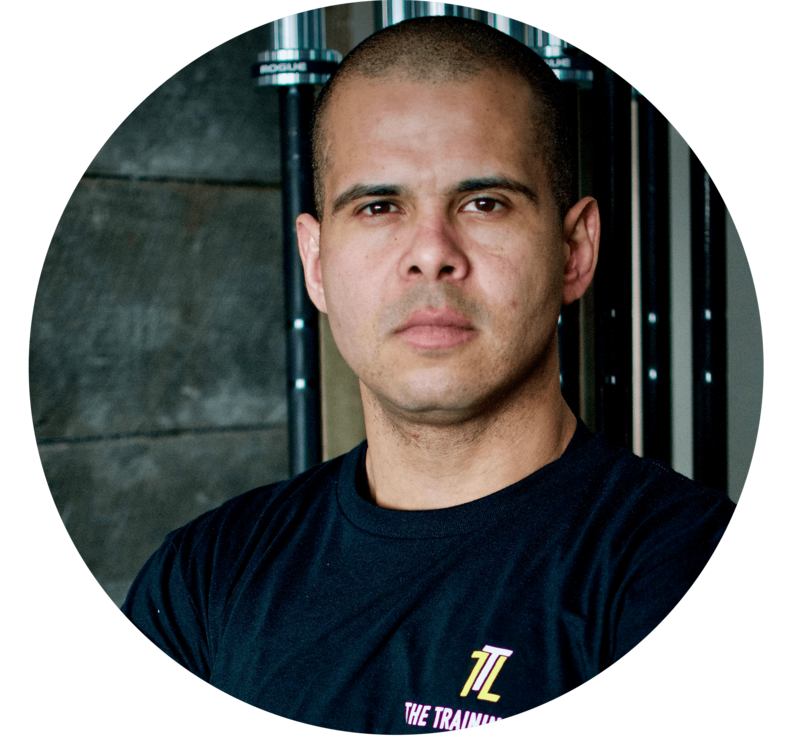 Ruben Belliard, founder of The Training Lab in New York City, chatted with us about his experience in the Marines and how that informs his approach to fitness. I spent 8 years in the United States Marine Corps. During that time, I was stationed in North Carolina and in Quantico, VA as an instructor of The Basic School which is where all Marine Officers get their initial combat training. I was also lucky enough to visit over a dozen countries within Europe and the Middle East. I deployed during the Kosovo War and the Iraq War. During my Marine career, many principles were ingrained in me, which I still live by to this day. The development of mental toughness has been priceless. We have all seen the part in movies where drill instructors put you through hell. However, those situations are where you learn how to embrace being uncomfortable and become comfortable with it. Another key principle has been that sometimes you just need to dive in head first. If you want to excel, you simply have to accept the risks and dive in anyway. What inspired you to join the fitness industry? I realized the only way to overcome childhood obesity was to make a drastic change, which was when I enlisted in the Marines (I know, crazy!). During my tenure in the Marines, I realized that I was stronger and could push myself further than I thought possible which empowered me. I believed fitness was a vehicle to help people realize this inner strength, so I jumped in, even not knowing much. The journey has had its ups and downs, but the fact that I have had a positive impact on people’s lives is rewarding in itself. How has your experience as a veteran informed your approach to fitness? The Marines drive home discipline and hard work. I learned that there are no shortcuts or hacks that will help you reach your goals; you need to put in good, old-fashioned hard work. When motivation fades you will need to rely on discipline to complete the mission. I took these approaches and applied them to the principles of fitness. I removed all the fluff from the industry and made it simple: HARD WORK = RESULTS. The Training Lab is not a place where you can just go through the motions. There are no shortcuts or hacks that will help you reach your goals; you need to put in good, old-fashioned hard work. What makes The Training Lab experience unique? We value persistence, hard work, and outcome as opposed to aesthetics and ego. We train for improvement, not fatigue, which is running rampant in our industry. We recognize that fitness is unique to the individual and it’s ever-changing. Therefore, our program revolves around producing a solid foundation that empowers people to take on any challenge head first. With our small group classes (12 max) the training received is unmatched. Alongside that comes the close knitted culture of likeminded individuals supporting each other which is vital for long term success. What do you hope clients take away from your classes? After a class at TTL, clients realize that they are stronger then they think because we will demand more than they think they have to give at times. It’s not about being perfect. It’s about effort and when you bring that effort every single day, that’s where transformation happens and that’s how changes occur. This is the attitude we convey in each class. What advice would you offer other veterans looking to join the fitness industry? Well, veterans are people who wrote a blank check to this country for an amount up to and including their life. However, the fitness industry will not cost them so much. Just make sure that you’re doing it for the right reason and be willing to give everything you have because at times it will demand that and then some. Ruben Belliard, founder of The Training Lab, grew up on the Lower East Side of New York City. He joined the Marine Corps and served from 1997-2004 as an infantry rifleman, Instructor at The Basic School in Quantico, VA and overseas in Operation Iraqi Freedom. In 2008, Ruben started Warrior Fitness Boot Camp which he owned and operated until 2016. Throughout his career he saw how his clients’ interest in fitness evolved and the struggles they had when trying to make a change. He created The Training Lab to help people build a foundation that would allow them to do anything they wanted and is focused on breaking assumptions people have about their abilities with inspiration from his military training.